After a 5 hour binding marathon while watching Lonesome Dove with my hubby, I finished it! 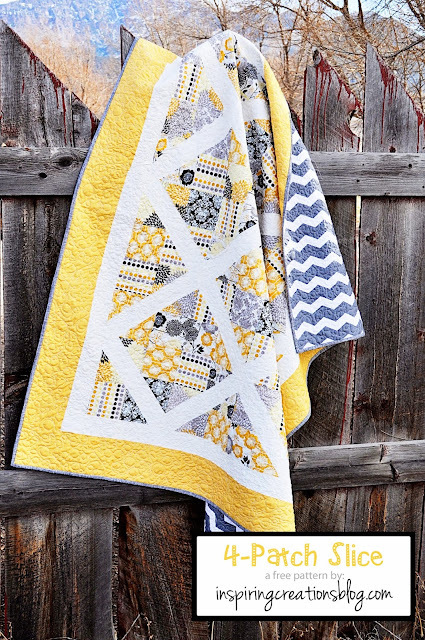 I can hardly stand how awesome this quilt is! When I came up with this idea, I didn't imagine it to look this lovely. So to say I am happy with how it turned out, is an extreme understatement. Warning: I took a TON of pictures of this quilt, so I'm just warning you now! Here is a close up of my binding. I did it all by hand and I am pretty much in love with the fabric I used to bind this quilt. It just ties everything together nicely, plus the print itself is really great! I quilted this quilt on my domestic machine. It took probably a good 10 hours at least to complete the quilting. For the quilting I did two different patterns. In the white I did loopy-loops paired with larger circles. I kind of wanted to try pebbles, but I honestly did NOT have the patience to do so many pebbles. So you will see "pebbles" here and there throughout the white, but also lots of loops. For the squares I did "organic" wavy lines in both directions. I say organic because honestly I can't sew a straight line to save my life doing FMQ. It's something I need A LOT more practice in, so I thought how about wavy lines? Well, let me tell you quilting a wavy line beats quilting a straight line! I am going to do my next quilt with all wavy lines I have decided. It's so easy and really a fool-proof way to quilt. The back is a a chevron print. This is probably the only thing I would change about the whole quilt. I love the fabric itself, but I honestly thought the quilting did not compliment this specific print. It looks okay, it's just not my favorite part. For the second border on the quilt I used this lovely herringbone print by Riley Blake. 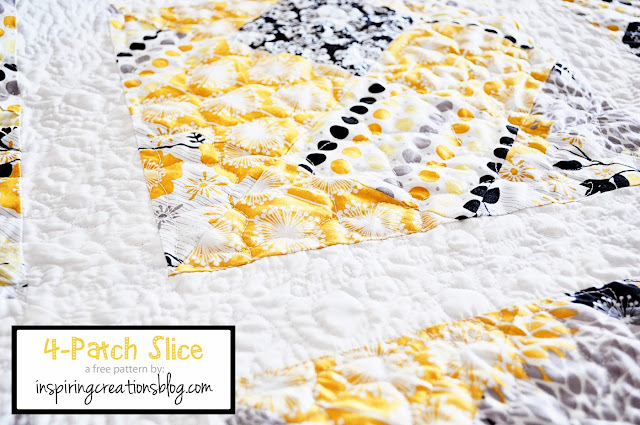 I felt like it really suited this quilt well and this shade of yellow is really fantastic in my opinion. I used 100% cotton thread to quilt this. I have yet to try polyester thread, so I can't tell you which one I prefer. I do want to mention that I haven't had a problem with using this type of thread and I also like the appearance of it as well. For the batting I used an 80/20 blend. I have used both polyester and cotton batting and I do prefer to use cotton over polyester. I also think it makes the quilting look prettier using cotton. So there you have it! 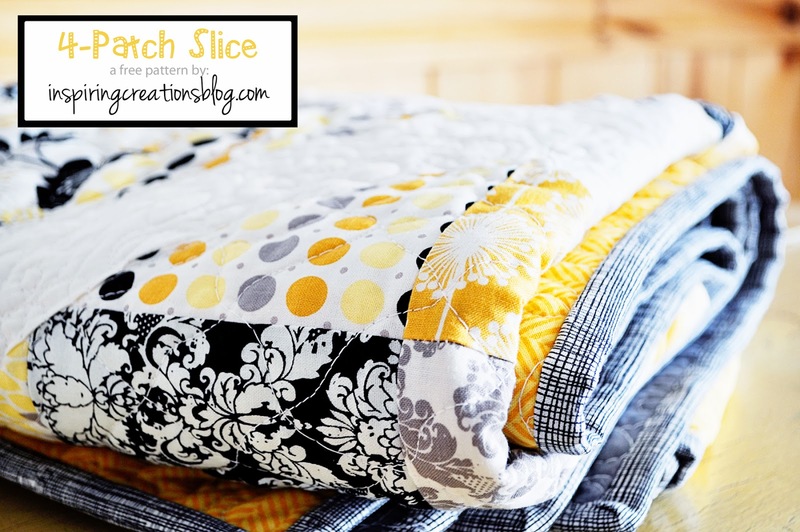 If you want to make this quilt you can find the complete pattern for FREE! Right here. Also, if you decide to make a quilt with this pattern I would love to see it. You can email me a picture or upload one to my flickr group. Great photos, Lindsey. The binding looks fantastic, I love the effect of that fabric on the binding. The whole quilt looks amazing. I do wavy lines with my walking foot, and I LOVE quilting wavy lines. 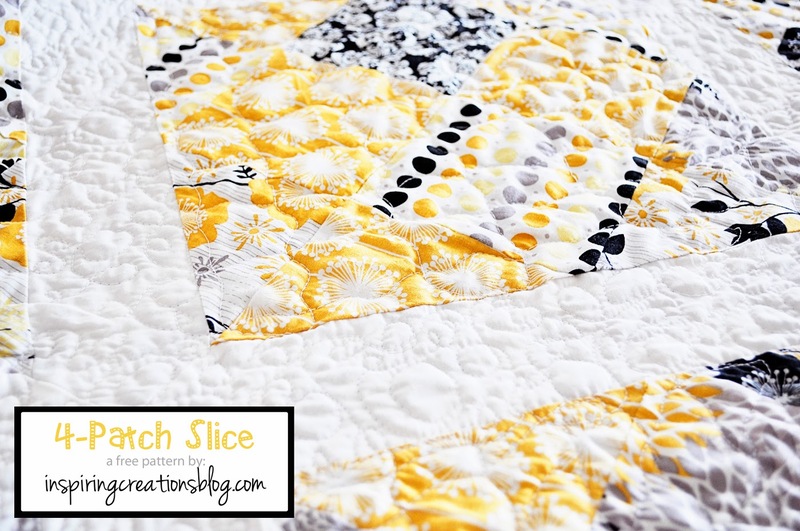 Gorgeous quilt ~ love the yellow, black and white combination and the binding fabric is perfect! 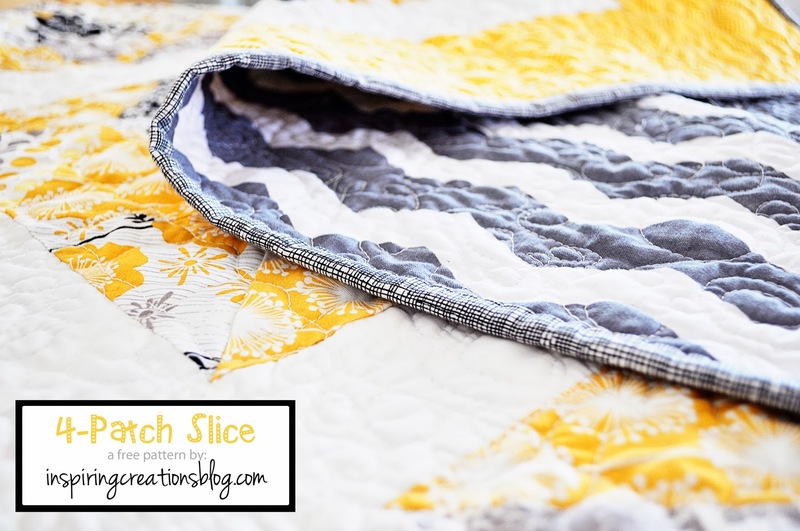 I'm definitely have to give wavy quilting a try! Love this! The colors, the binding, the fabrics - it all looks great! Lindsey it looks gorgeous! I wouldn't have thought of using these colours together but the extra white in the sashing and the wide yellow border really make it spectacular. Lovely photos too! Thank you for dropping by my blog and leaving your suggestions, I really appreciate it. This is amazing. I love the colours and the binding works so well!! This is a great quilt. I love it too, the color, the design, the binding. Great job! And thanks for the free pattern. 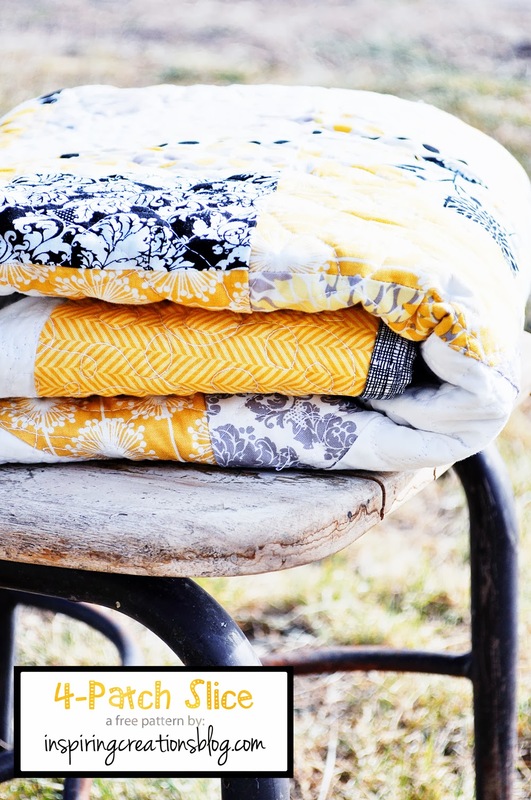 Your quilt and quilting are so pretty! Thanks so much for sharing with us too! LIndsey, Your quilt is amazing! And funny, but the first thing I thought when I saw it was "that backing looks incredible with that quilt!" Thank you for the pattern, I hope I can do half as good a job as you did! Beautiful quilt. I love your photos. i can almost feel the crinkly softness! 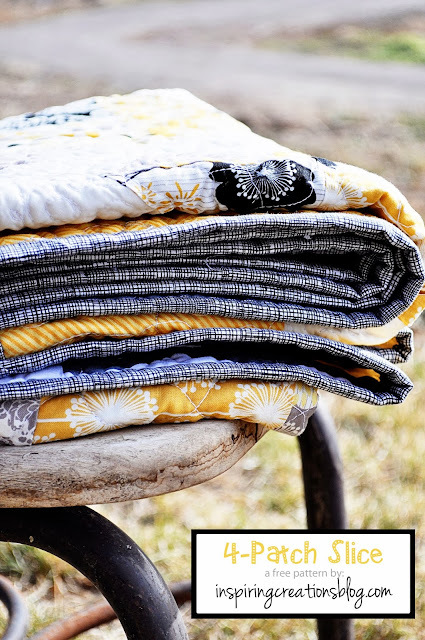 Everything about your quilt is beautiful - fabric choice and colors, quilting wavy and loop de loops! Awesome block design and layout! Your quilt is beautiful. I had to come back a second time and admire it. I love your blog. This is a very pretty quilt. Thanks for the tutorial. Beautiful. The colours, the pattern the quilting. Just lovely. 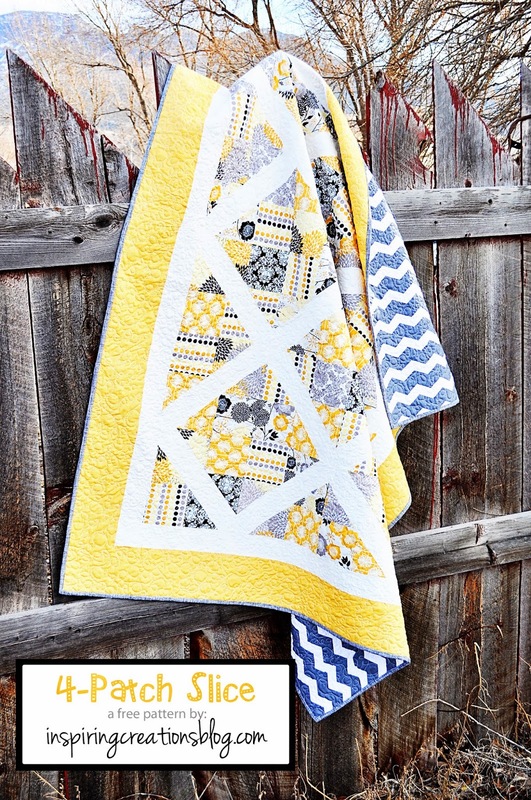 Totally gorgeous....I love the colours and the quilting looks beautiful...loopy is the best! you're right- this quilt is gorgeous! and that's a cool pattern! This one's going on my list! So pretty! 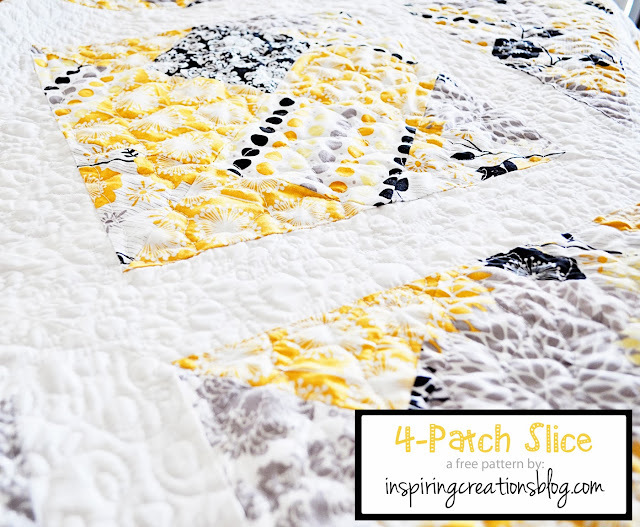 Funny, I'm quilting with 100% cotton wadding at the moment and wishing I'd chosen wool as I like the way it shows the quilting :) thanks for linking up! Hi Lindsey, I posted another table runner made with the "picket fence" block pattern in black, white, grays, & yellows that you might like to check out. You had come by my blog previously when I used reds & whites (RunningHen.blogspot.com). Let me know what you think. Love that tablet case!